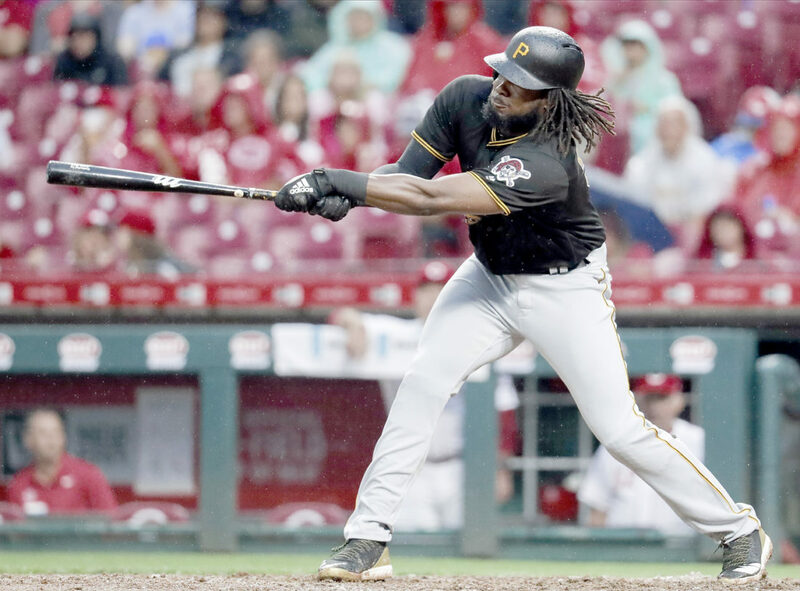 CINCINNATI (AP) — Corey Dickerson hit two first-pitch home runs, rookie Nick Kingham overcame another Cincinnati rain delay to pitch six shutout innings and drive in two runs, and the Pittsburgh Pirates beat the Reds 6-2 Saturday for their season-high eighth straight win. 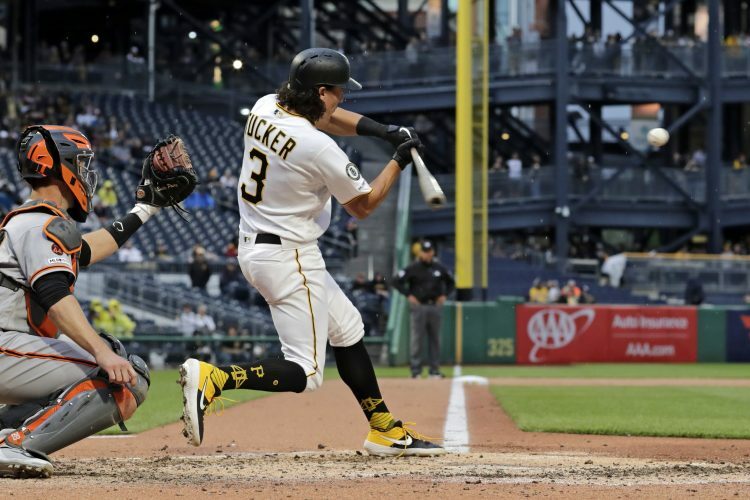 Dickerson homered on the first pitches he saw from Anthony DeSclafani (4-3) in the third and fifth innings for his seventh career multihomer game, helping the Pirates to their longest winning streak since an eight-game stretch Sept. 19-26, 2015. Kingham allowed just one runner past second base before Curt Casali knocked him out of the game with a two-run homer that just barely reached the left field seats in the seventh. Ervin Santana finished the seventh, Kyle Crick pitched a perfect eighth against Reds All-Stars Scooter Gennett, Joey Votto and Eugenio Suarez and All-Star Felipe Vazquez escaped a one-out, two-on jam in the ninth. 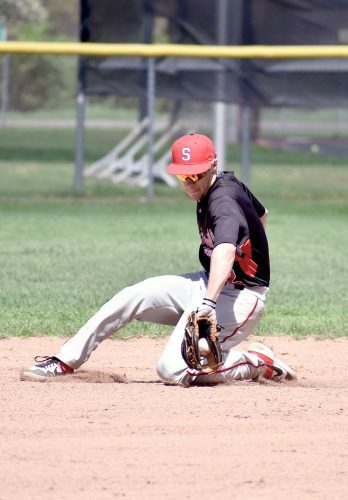 Dickerson bounced a sharp one-hopper off DeSclafani’s left ankle leading off the game. 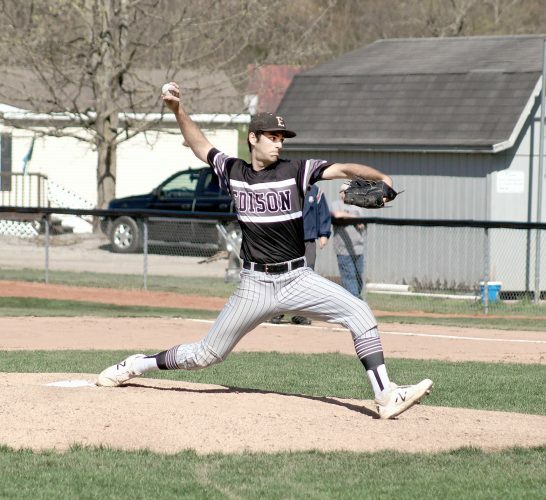 DeSclafani was able to last 4 1/3 innings, giving up six hits and three runs with two walks and six strikeouts. Pirates: C Francisco Cervelli was eligible to be activated from the seven-day concussion disabled list on Saturday, but manager Clint Hurdle said Cervelli had not resumed baseball activities. Pirates: RHP Ivan Nova (5-6) is 3-1 with a 3.51 ERA in seven starts since being reinstated from the disabled list on June 10. He’d been out with a sprained right ring finger. Reds: Matt Harvey (5-5) is 4-0 over his last five starts. He hasn’t allowed more than two earned runs in any of those appearances.